Place beets into two separate saucepans, red in one, yellow in the other, and fill with enough water to cover. 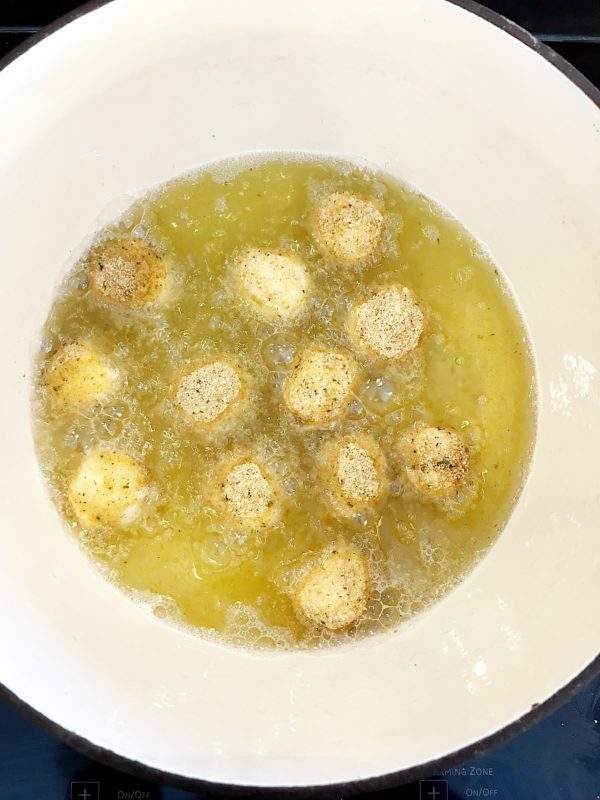 Bring to a boil, cooking 20-30 minutes or until tender. Drain, cool, and remove skin before cutting into 1/2-inch slices. Discard ends or save for another recipe. 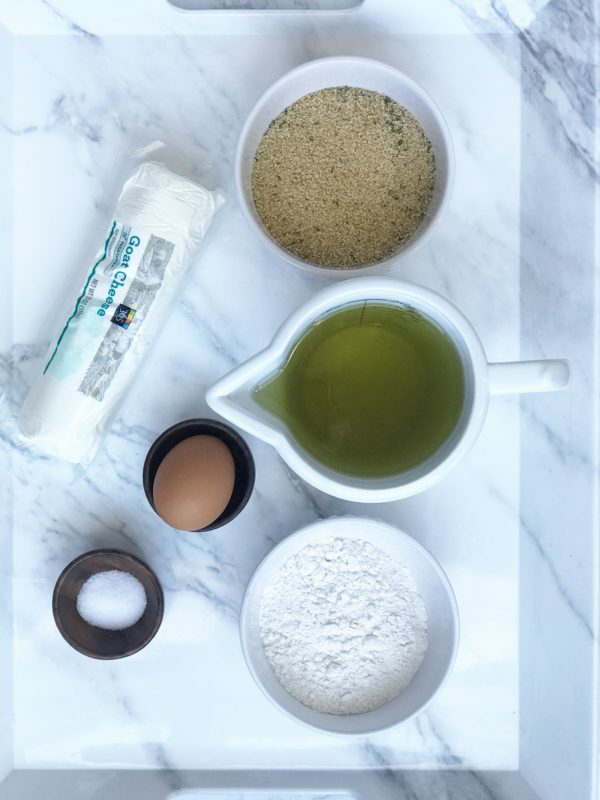 Roll balls into flour, then egg, then bread crumbs. 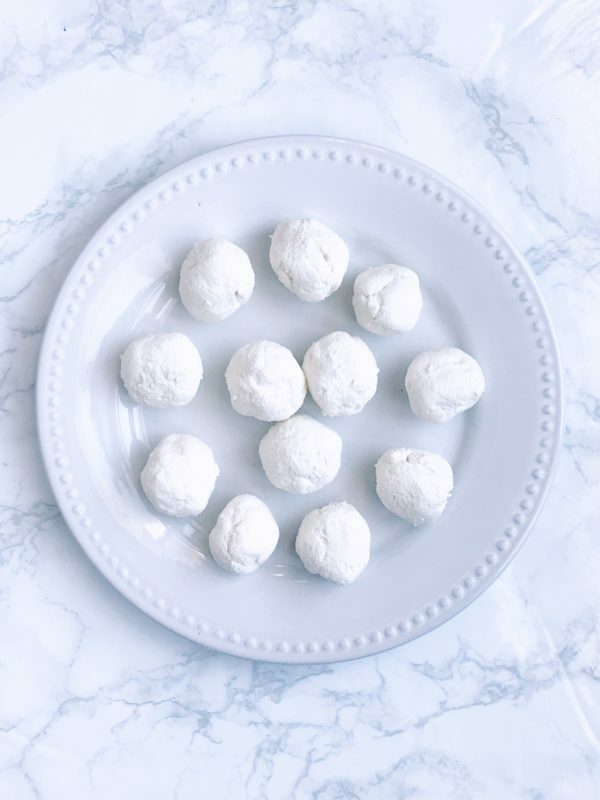 Be sure the goat cheese balls are well coated, with no areas that have exposed cheese, or they will break open during the frying process. Transfer to freezer and freeze for 20 minutes or until firm. Place arugula into a medium bowl, drizzle with 1-tablespoons of oil, lemon juice, and a sprinkle of salt. Toss until evenly coated. Place lettuce on to the side of a serving plate. 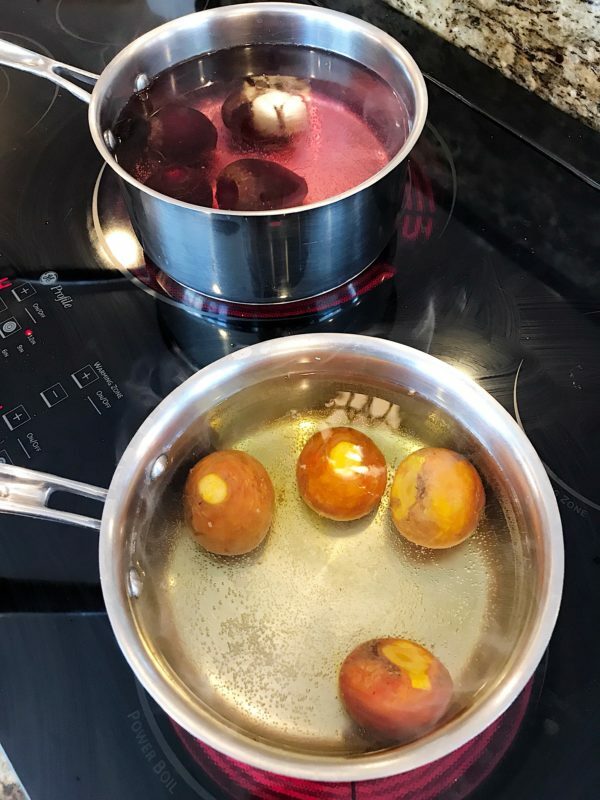 - I recommend boiling the yellow and red beets in a separate pan so the natural coloring doesn’t bleed into each other, causing a muted appearance. 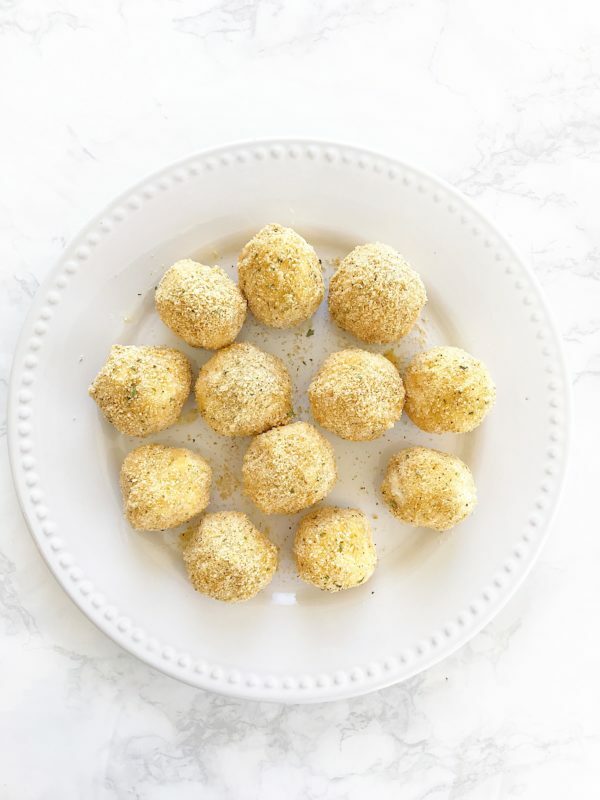 - You can plate the salad in individual servings or use a large platter to accommodate all of the ingredients in this recipe. 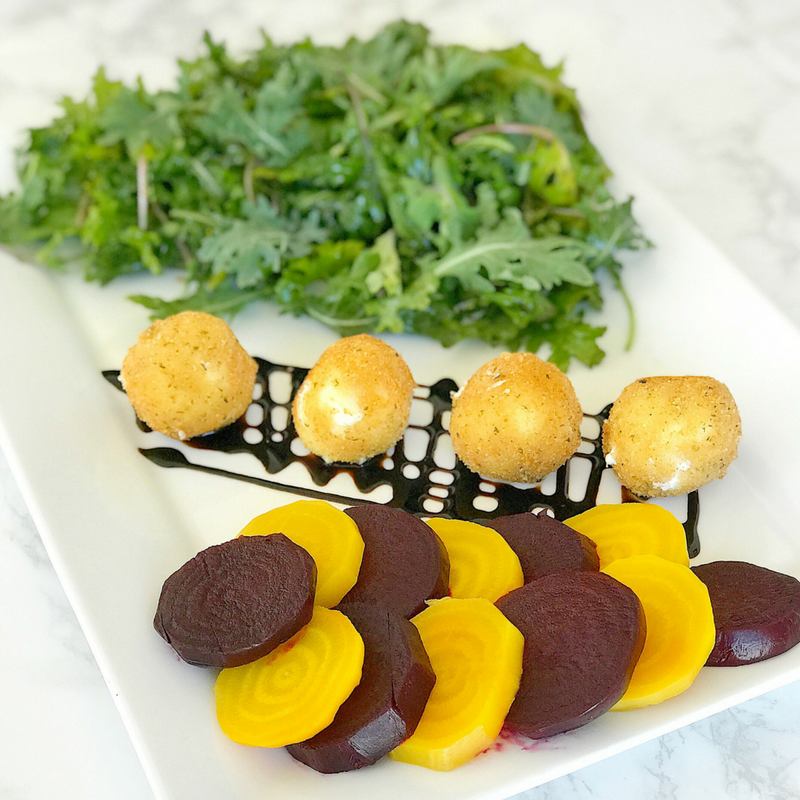 - Each serving should include 3 goat cheese balls, 1 cup arugula, and 3 red and 3 yellow beet slices.